Launching a startup takes guts, brains and a hefty dose of decision-making intuition. One of the fundamental decisions a founder needs to make is where to base his or her startup. When considering location, founders often choose to launch where they’ll be surrounded by tech-savvy young professionals who are anxious to get their careers off the ground, but don’t command budget breaking salaries. 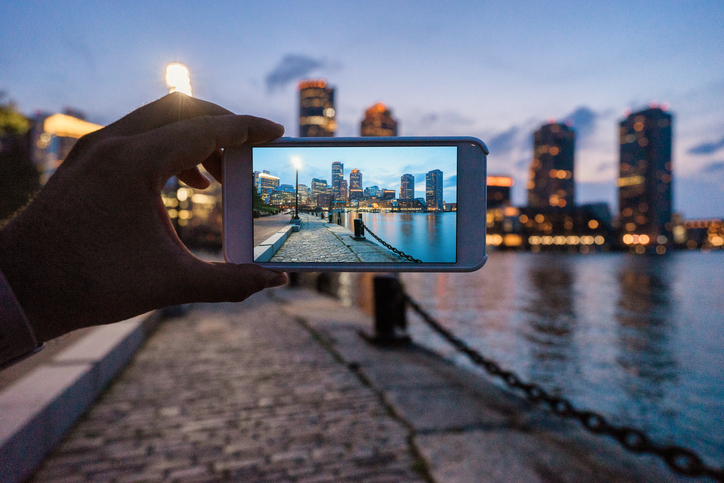 Home to the prestigious Massachusetts Institute of Technology (MIT), you might not be shocked that the northeast is one of the hottest high-tech startup hubs. In fact, according to an infographic backed by data from Harvard Business School, the Cambridge-Newton-Framingham, Massachusetts metro area (where MIT is located) is ranked number four on a list of the five top metro areas in the U.S. for high-tech startup density. If you’re thinking about breaking away from the boardroom and founding a startup, we hope the success stories we’re about to uncover will inspire you to do so in the northeast. Rob May and Vik Chadha co-founded Backupify in 2008. Since that time the company has enjoyed exponential growth and has emerged as a leading provider of backup and recovery solutions for Software-as-a-Service (SaaS) applications. Backupify offers education, small business and enterprise solutions that keep data safe, yet useful in the Cloud. Currently, more than 7,000 businesses and over 600,000 users trust Backupify as an important component of their I.T. solution. The company’s products include Backupify for Google Apps, Salesforce and social media. According to the U.S. Department of Energy, lighting accounts for nearly 30 percent of the electricity produced in the United States. Digital Lumens is on a mission to change that. The forward-thinking company is focused on developing next-generation LED lighting solutions that will revolutionize the industrial lighting industry. Digital Lumens’ Intelligent Lighting System can reduce clients’ lighting related energy use by almost 90 percent without impacting performance. The company is merging LEDs, networking and software into a streamlined, integrated system that not only saves clients money and enhances lighting system control, but also dramatically reduces the clients’ carbon footprint. Digital Lumens’ systems are currently in use across more than 50 million square feet in facilities around the world. Cloud security startup CloudLock was founded in 2007 to help businesses and organizations manage data security both on-premise and in the Cloud. Just this month, the company announced a new solution, CloudLock Selective Encryption, and its generating lot of buzz. Cloud traffic is growing at unprecedented rates, and rapid growth presents security challenges that CloudLock is on a mission to conquer. Using CloudLock Selective Encryption, Cloud service companies can more effectively keep up with changing security compliance laws and regulations. CloudLock Selective Encryption can be enabled in minutes, then searches for sensitive data and automatically encrypts it without hindering performance. The solution not only protects information that’s being uploaded, it also secures data that’s already stored. CloudLock Selective Encryption protects information on Salesforce and Google Apps, and will expand to cover new Cloud service providers as they come on board. CashStar is a digital gifting company that’s enjoyed phenomenal success since it created the gifting category in 2008. A recent report from market research firm Parks Associates reveals that 25 percent of U.S. smartphone owners used a mobile wallet in 2013. The firm forecasts mobile wallet use to reach 43 percent (a growth of 183 percent) by 2017. CashStar is helping companies take advantage of this indisputable payment trend through a variety of smart solutions. More than 300 diverse brands, including Brookstone, Dell and Starbucks already use CashStar’s SaaS platform to drive acquisition and loyalty through innovative, personalized digital gifting experiences. In addition to dozens of other accolades, CashStar was recently honored as one of “America’s Most Promising Companies” by “Forbes” magazine. Our four hot tech companies of the northeast have capitalized on the region’s wealth of resources and established themselves as leading innovators in their respective industries. Which one will you be telling your co-workers about?